The work for the refugees accommodated in the Emergency Transit Center from Timisoara is one that has rolling without brakes. We are close to them for all the aspects regardind health, food, clothes, cultural integration, outgoings, shopping..
Maybe it seems difficult to believe for some people, but we need to tell you that in our portfolio we have dozens small projects approved by the French Government in the favor of roma population returned voluntary from French. We have an experience of more than 15 years in programs for combating the human trafficking. The results obtained in the process of recuperation for the victims of the THB are certain and a warranties for our work. In partnership with the Romania Office for Immigration we try to provide services for the asylum seekers. 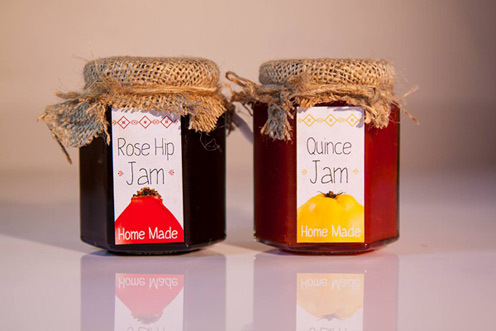 Two jars purchased, one with quince jam and one with rose hip jam, make a meal for one of the victims assisted by GTR. Of course, we still thank you if you buy just one. GTR is a partner of the French Government in a program of voluntary repatriation of Roma population from French territory. The agreement includes funding for returnees, micro-projects through which its users can provide a decent living in Romania. Detection of street children, trafficked children, unaccompanied minors abroad, their reintegration in natural or enlarged family, creating social and professional reintegration programs is one of GTR goals. Support programs by purchasing GTR unique jewelry (handmade) made ​​by the victims are in our programs, or buy silicone bracelets with the message: I am NOT FOR SALE, you are NOT FOR SALE, no one should BE FOR SALE! Two jars purchased, one with quince jam and one with rose hip jam, make a one-day meal for one of the victims assisted by GTR. Of course, we still thank you if you buy just one :-). We stand close to Mariana Petersel since the '90s, while working in Moldova. Mariana convinced us that it is a reliable partner, and the programs they built have proven to be successful. We built there with Mariana, we came to build here together with the GTR team. "It's an honor to be GTR partner. Real change happens when people engage with passion, which is why Not For Sale became GTR partner. Crossing continents our team supports with dedication the surviving victims of modern slavery."